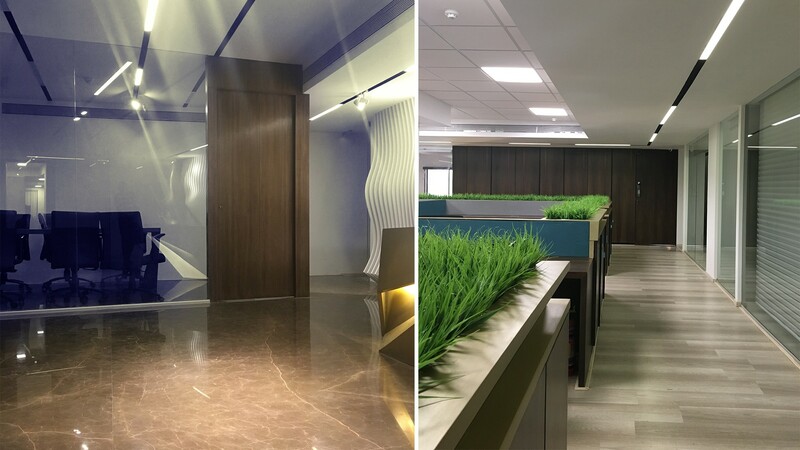 11,500 Sq.Ft Corporate office for Sugee Developers in Nirlon House, Worli in Mumbai. 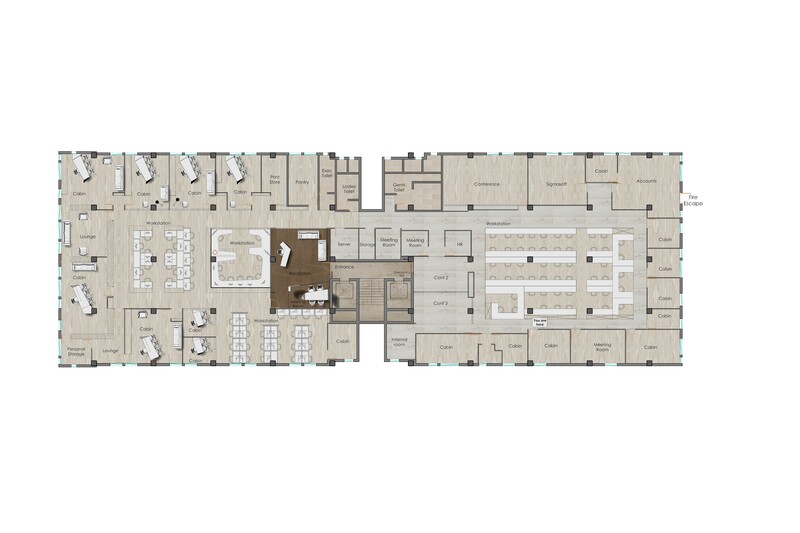 The brief was to portray the growth of the company via the design of their corporate office. 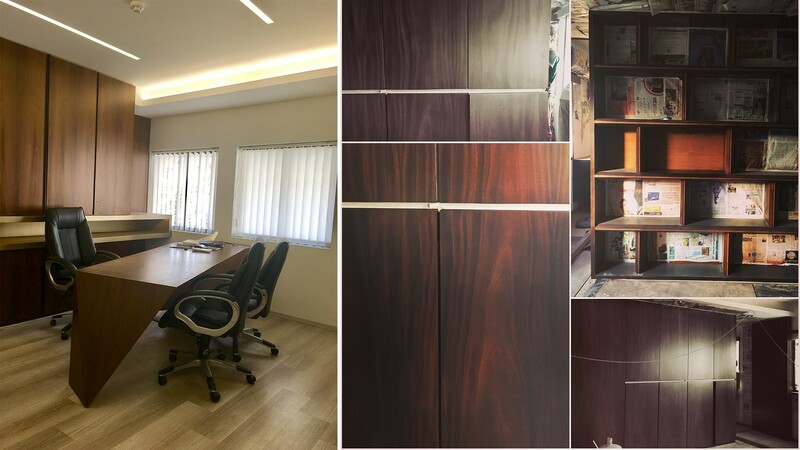 As per the belief of the client the entire office is Vastu compliant. 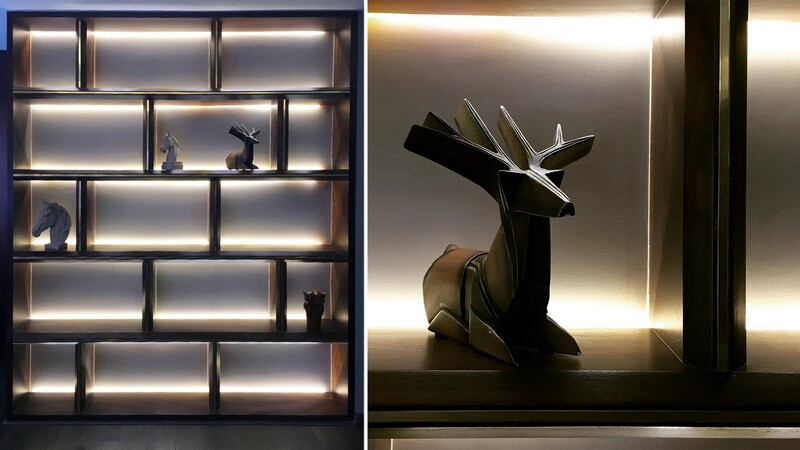 Every table design is based on the ideal direction for the occupant. Since the idea was to make everyone face northeast, the insertion of Faceted design concept came into the picture. Every table is faceted and the play with angles could be accentuated due to the same. 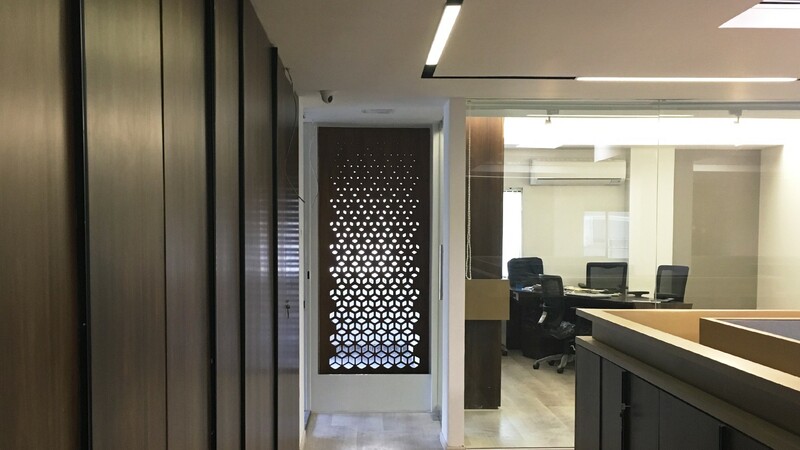 The use of digital fabrication techniques have been used with every cabin entrance having elaborate laser cut patterns of Indian Jaali design. 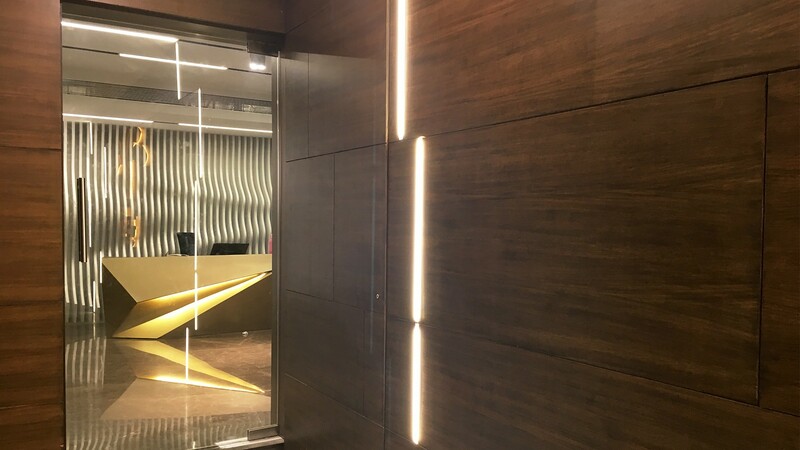 The Reception Back wall being CNC cut to achieve a 3D wave form juxtaposed with a gold finished reception table.